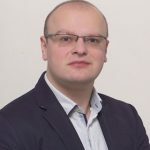 Interview with Slaven Radunović, chairman of the Committee on European Integration of the Montenegrin Parliament and deputy chairman of the Joint Stabilisation and Association Parliamentary Committee with the European Parliament. European Western Balkans: For many years now, Montenegro has been facing the challenges of democracy, stagnation in reforms, and the rule of law. In your opinion, what are the biggest obstacles for the current situation in these areas to be significantly improved? Slaven Radunović: When trying to solve a problem, the most important thing is to start from the cause. Everything else leads to half-way solutions and further failure. 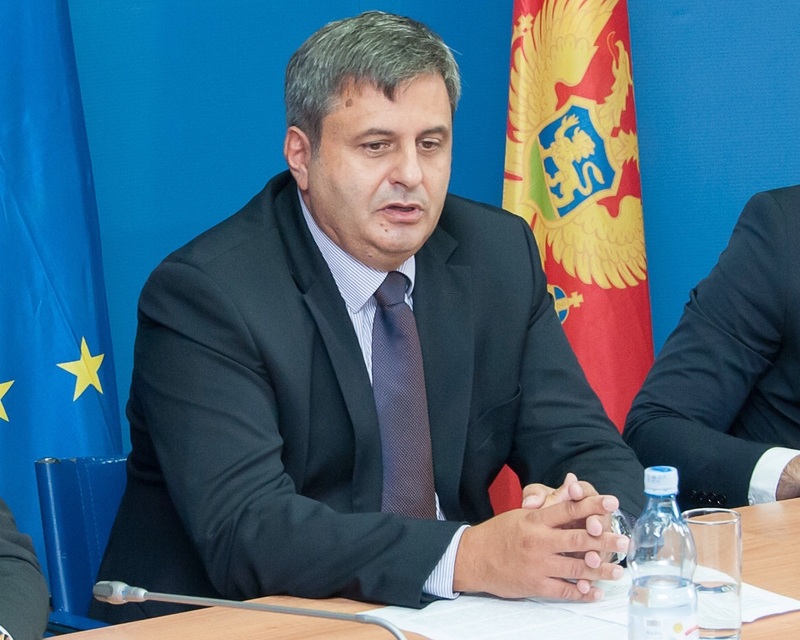 Violation of human rights and freedoms, high-level corruption, buying of votes, stagnation in reforms, these are just different manifestations of the same problem – the impossibility of transition of power in Montenegro. The longer the impossibility to change the regime, which has been sliding into an open dictatorship for a long time, the greater are the problems and the crisis. In Montenegro, the government has never changed and this has logically led to rooted layers of lawlessness, arrogance, crime, et cetera. There are no countries without these problems, but this has become a lifestyle in Montenegro. The latest affair, called “The envelope” (Koverta), is the best example of the collapse of the democratic and electoral system. 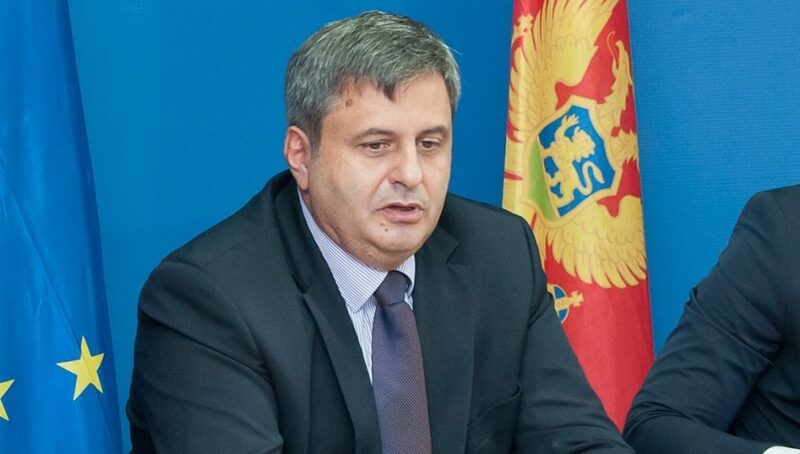 Businessman Duško Knežević acknowledged that the only effective system is the corruption of and abuse by the authorities. There is even a public video in which the main role belongs to the official of the ruling party, where it can be clearly seen that he is receiving an envelope with hundreds of thousands of euros from Knežević before the 2016 parliamentary elections. The entire philosophy is contained in these examples, this is the biggest obstacle – we must rebuild society and institutions from the foundations. The problem is that everyone does not have the courage to face the cause of the problem. And we saw the fate of the brave ones – arresting the MPs in the middle of the night, intercepting by cars, without the previous procedure of removing the immunity, with the arrest warrant delivered trough the window of the car. That’s why I think that we have sunk too deep into these practices and the only solution is to change the system from the bottom. EWB: What are the first steps Montenegro should take in order to improve the rule of law? Does the opposition use the mechanisms at its disposal to control the executive sufficiently? SR: The opposition uses mechanisms as much as it can, but it is not easy to deal with such rooted problems institutionally – because the system is based on lawlessness and the whole country is basically the private property of the top people from Democratic Party of Socialists. In this sense, the Democratic Front has also resorted to democratic protests against such behavior of the regime, which was also a logical response to the country’s bad state. The priority is to change the government and then create an environment for a change that will refresh the whole Montenegrin society and wake it from the winter dream that we have been dreaming for thirty years – the dream is fine, but what we currently have is indeed one pathological state in which we have fallen into. Now is the time for the citizens of Montenegro to wake up and use the beauties of Montenegro and the potential that this captured state has to live with dignity. The initial steps are, of course, the creation of a healthy electoral environment, as a prerequisite for any democracy. For this reason, DF has also started working within Electoral Legislation reform Committee. However, when things finally started moving from a standstill, our colleagues got arrested, we received a direct hit on the freedom of speech and publicly spoken words in the Parliament, as well as on a liberal and different opinion and criticism of society’s deviations. EWB: Montenegro was the only candidate state that backslided in one of the negotiating chapters (Public Procurement). How important is the adoption of European standards in all areas for your country? Is this process fast enough? SR: One thing that is forgotten by many in Montenegro and in the countries of the region, and they are only reminded of it when they receive a formal warning through reports from the European Commission and the European Parliament is that the EU accession negotiations are a comprehensive process; although formally taking place through chapters dealing with different aspects of European legislation, the implementation or absence of reforms and the adoption of the acquis in different areas are intertwined and affect both level of progress within individual chapters and the assessment of that progress by the EU, primarily the Commission. One of the examples for this is a negative assessment of Chapter 5 Montenegro received in the last year’s European Commission report. 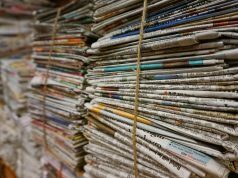 Among the main causes are the recent amendments to the Public Procurement Law which introduced a number of exceptions and reliefs that are incompatible with EU legislation and which are not sufficiently transparent. 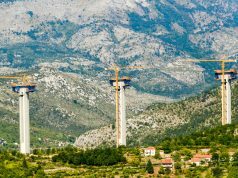 But not only that – among the other things, Montenegro has been criticized because of the exceptional vulnerability of public procurement to corruption and insufficient capacity to control the execution of contracts. This is all the reflection of key problems of the country that I have already mentioned, as well as the fact that these problems cause EU criticism in all sensitive chapters. The case of the Procurement chapter reflects the real danger present in all the difficult chapters – the initial good progress can often be sacrificed for special and personals interests that can seriously jeopardize implementation of the key reforms. For our further progress in the accession process, it is important that this case does not happen again, but that the initial reforms in the coming period continue to be much more intense and faster. I am not only having Chapter 5 in mind when I say this, but also other areas which have been negotiated for several years now; this will be in the focus of the European Integration Committee in its future work. EWB: The EU Report on Montenegro for 2018 points out that “there is no discussion and reporting on the implementation of major policies”. How much does this affect the work of your Committee? SR: The parliamentary control does not need to be better, it needs to be more visible. The largest opposition coalition does not participate in the work of the Parliament, because we consider that the current political circumstances are such that it is impossible to change the system through the institutions. But we are ready for an agreement and we hope that we will soon continue where we started, so that we can contribute to the creation of conditions for fair and free elections that will finally enable the transition of power and give the society an opportunity start breathing again. All of this is reflected on the Committee and the process of integration – when there is no opposition and no other opinion is heard, then there is no disagreement, everything is accepted ad hoc and things are happening without anyone considering the consequences. This is why the EU report and resolutions from last year are full with these and similar comments. EWB: When it comes to opened Chapters, Montenegro has been the most successful in the region. Your Committee is extremely active in the process of adopting European legislation. In your opinion, how realistic is for Montenegro to join the EU by 2025? SR: The year 2025, which was indicatively mentioned, is not the promise, but a possibility that Montenegro can, but doesn’t have to accomplish. Looking back, Montenegro was very up-to-date when it comes to meeting the initial criteria for opening negotiation chapters – as you know, we have opened all chapters except one (8 – Competition). This is commendable, but given the length of the negotiations, it is far from sufficient; it’s just the initial job that showed the serious interest of Montenegro to become a part of the EU. 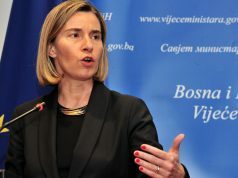 What is crucial for the quality and pace of negotiations is what follows after the opening of the chapters, namely the implementation of adopted laws, concrete reforms and further harmonization of legislation – this is what demonstrates true commitment to European values and the intention of Montenegro to be a future member of the Union. The point of the story is that we have to stop repeating that Montenegro has 32 opened chapters and that it is regional leader of the EU integration. We must work seriously, efficiently, and I emphasize, rapidly enough on changes and the alignment with EU values and standards. The story is not enough to convince the EU Member States to take us into their “team” – the story, lobbying and creating positive political climate should and must only follow concrete results. A lot of things have been achieved, but still the key and crucial results (primarily in the area of rule of law, democratisation of institutions and economic stability) are lacking. In addition, if negotiations are dragging on for a long time, a good opportunity, enthusiasm and reform support are being lost. All of this can reduce our chances and hopes that in 2025 Montenegro will be at the threshold of the EU. Is the year 2025 the reality? This will be influenced decisively by our efforts over the next few years; there is enough time, but we will see if there is enough will to make a key step towards EU membership. As things now stand, without decisive and significant reforms, I’m not overly optimistic. EWB: The 2018 report states that the inclusion of women in politics is very low. What measures are being taken to change such a situation? SR: Statistics says the following: In current Parliament of Montenegro (26st Convening of Parliament) of 81 MPs, 19 are women or 23.45% which is an increase compared to previous convening, when there were 15 women or 18.5%. Two women MPs are chairing the committees – the Legislative Committee and the Gender Equality Committee. The principle of gender equality is also taken into account through the composition of Parliamentary delegations to the international organizations. Personally, I am more for a successful and quality staff, regardless of gender, although I respect and belong to a party that respects the quota principle on the representation of women in electoral lists where they would be highly positioned, even without quotas, not because they are women, but because they have quality. Also, the Women’s Political Network was formed within the framework of the “Support to anti-discrimination and gender equality policies” which was financed by the EU Delegation in Montenegro and implemented by the UNDP Office in Montenegro in cooperation with the Ministry of Human and Minority Rights. The Network consists of politicians from the ruling parties and the opposition, including the DF, as well as representatives of the academic community. Certainly, the legal framework that lead to greater participation of women in political life contributed to their activities. 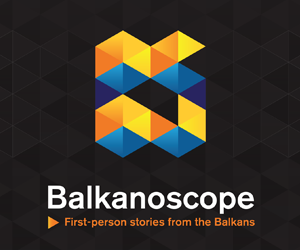 EWB: Considering that at the EU level in 2019, the focus will be on other “internal” topics, and not on the Western Balkans, and that Montenegro itself will have elections in 2020, will 2019 be “apathetic” year without serious progress towards the EU? SR: The fact is that 2019 will be very important for the EU in terms of dealing with internal challenges – Brexit, the European Parliament elections, and a long-standing migrant crisis, among others. In the light of all this, more and more calls are heard that the EU “settles things at home” and that the policy of enlargement for a certain period is left aside. And it is very realistic to expect this to happen this year. However, that does not necessarily imply an apathy on the path to towards the EU. There is a clear picture and guidelines regarding the reforms which need to be fulfilled in order to close the opened negotiating chapters. For this, it is not crucial whether we are in the focus of EU or not, but whether the will and capacities to implement these reforms exists. It all comes down to what our main driving force in EU accession process – praise or criticism of EU, or better quality of life for our citizens. If our main interest is quality of life for our citizens, then 2019 can be a successful year for Montenegro in terms of internal reforms and rapprochement with the standards of developed European democracies. The EU should not and must not be an excuse for our internal failures.